This traditional, Grade ll listed, three-storey house is set in a quiet courtyard just seconds from the picturesque working harbour of Mevagissey. 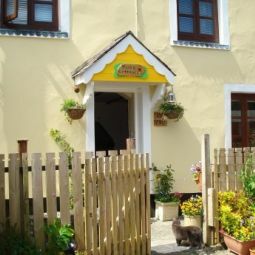 This gem of a property is cosy with two wood burners, and is situated in the centre of this pretty, historic fishing village which has a good range of restaurants, bustling cafés, pubs, quaint galleries, and a variety of shops. The working harbour provides a port for many fishing vessels that sit side by side with tourist boats providing fishing and sightseeing trips around the dramatic Cornish coastline. A ferry runs from the harbour across the bay to the town of Fowey which can be seen in the distance. Mevagissey is the perfect destination for all types of holiday whether it’s a peaceful break, a beach holiday or activity break on this picturesque stretch of the south Cornwall coast. The beaches of Pentewan, Port Mellon and Gorran Haven are all easily accessible. Port Mellon beach can be reached on foot and is in a small sheltered cove perfect for relaxing or exploring. A cycle track at Pentewan provides an alternative route to one of the country’s famous tourist attractions, the Eden Project. The cycle path joins a network of trails right into the heart of Cornwall’s historic china clay area. A short journey from Mill House will bring you to one of Cornwall’s best and most dramatic gardens, the Lost Gardens of Heligan, where you can admire the Italianate garden and explore the ‘Jungle’ garden. Other attractions in the area are Caerhays House and Garden, a vineyard, the shipwreck and heritage centre at nearby Charlestown, home to tall sailing ships and a regular set used for film and TV programmes. Nearby St Austell has supermarkets, bowling, swimming pools and leisure facilities. Beach 100 yards. Shop and pub 25 yards, restaurant 10 yards. Ground Floor:Living room: With wood burner, 48’’ Freeview TV, DVD player and bluetooth speaker. Kitchen: Galley-style with electric cooker, microwave and fridge. First Floor:Bedroom 1: With double bed, Freeview TV and en-suite with shower cubicle and toilet. Second Floor:Bedroom 3: With kingsize bed, Freeview TV and en-suite with shower cubicle and toilet. Bedroom 4: With twin beds. Economy 7 central heating, electricity, bed linen, towels and Wi-Fi included. Initial logs for wood burners included. Travel cot, highchair and stairgate. Welcome pack. Bike store. Public car park 250 yards, parking permit included for 1 car. No smoking. Please note: Couples and family bookings only. This traditional, Grade ll listed, three-storey house is set in a quiet courtyard just seconds from the picturesque working harbour of Mevagissey. This gem of a property is cosy with two wood burners, and is situated in the centre of this pretty, historic fishing village which has a good range of restaurants, bustling cafés, pubs, quaint galleries, and a variety of shops. The working harbour provides a port for many fishing vessels that sit side by side with tourist boats providing fishing and sightseeing trips around the dramatic Cornish coastline. A ferry runs from the harbour across the bay to the town of Fowey which can be seen in the distance.\n\nMevagissey is the perfect destination for all types of holiday whether it’s a peaceful break, a beach holiday or activity break on this picturesque stretch of the south Cornwall coast. The beaches of Pentewan, Port Mellon and Gorran Haven are all easily accessible. Port Mellon beach can be reached on foot and is in a small sheltered cove perfect for relaxing or exploring. A cycle track at Pentewan provides an alternative route to one of the country’s famous tourist attractions, the Eden Project. The cycle path joins a network of trails right into the heart of Cornwall’s historic china clay area.\n\nA short journey from Mill House will bring you to one of Cornwall’s best and most dramatic gardens, the Lost Gardens of Heligan, where you can admire the Italianate garden and explore the ‘Jungle’ garden. Other attractions in the area are Caerhays House and Garden, a vineyard, the shipwreck and heritage centre at nearby Charlestown, home to tall sailing ships and a regular set used for film and TV programmes. Nearby St Austell has supermarkets, bowling, swimming pools and leisure facilities. Beach 100 yards. Shop and pub 25 yards, restaurant 10 yards.